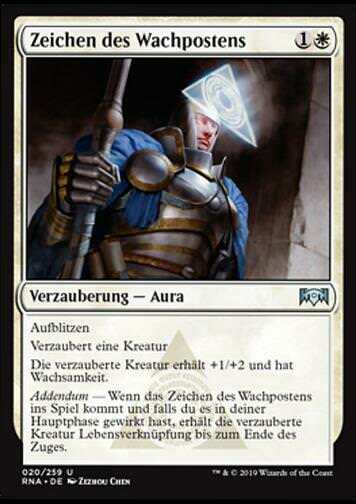 Firefist Adept (Feuerfaust-Adept) inkl. 0% MwSt. 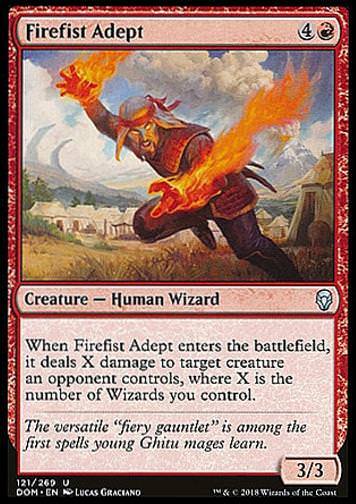 Regeltext: When Firefist Adept enters the battlefield, it deals X damage to target creature an opponent controls, where X is the number of Wizards you control. Flavourtext: The versatile "fiery gauntlet" is among the first spells young Ghitu mages learn.